It is that time of year again! Spring time! There is nothing better than watching the birds flock back, the snow melting and our ducks returning to our pond. Soon it will be full swing and the little ducklings will be walking around the yard. With new beginnings happening outside, why not start new inside! Whether you just bought a home, are tired of your same decor or routines, no longer love the accent pieces you have on your coffee table, why not switch it up! Refreshing and restyling your home doesn't need to cost an extravagant amount. There are two ways to do your refresh. Go and buy, buy, buy everything new or find things around your home and buy a few items (or none at all). Are you looking for a small restyle or an overhaul? Not matter which it is, create a beginning point by stripping the room of accessories (furniture if a bigger overhaul) to quiet the noise in the space. You will now begin with a fresh palette! Looking at your room empty, what do you want to bring back in and how can you place it differently. This small step will change the look of a room so quickly; it is mind-boggling! Now, examine the space and see what feature you can emphasize with new decor. Do you have a fireplace? If so, begin there with decor ideas. Add flowers and new art work. Change up candles and accessories so that it is a fresh look. Does the space have windows? What kind of window treatments are you using? Let's consider layering the window treatments. If you had strictly panels, invest in woven blinds or sheers to add depth, texture, light and movement to the space. Or, do you have a layered look you can unlayer? Which ever direction you move toward, know that can be a sophisticated upgrade to your space. Also, are there built-ins in your room? Rearranging your books on your bookcase or shelves can bring a simple, welcome change of scenery to any room. Look to arrange the books in a more irregular fashion, with a selection of books stacked horizontally and some vertical. Alternatively, you could also look to add some decorative pieces to make your bookshelf that little more intriguing. Need more guidance, be sure to read my post about bookshelves here. When you are looking for STYLISH DECOR be sure to look around and find options that are a reflection of you and your personality. Do not get hung up on trends or keeping with a specific style. If a piece of art speaks to you, then that is what you need to refresh and rejuvenate your space with today! Check out these amazing art pieces below! Choosing a color palette may seem overwhelming but, find a few colors that coordinate or complement each other. When decorating your space, you can use these colors for the decor, curtains, and accessories. In addition, you can add one of the colors on to the walls to give the room a brand new feel! Do what makes you feel fabulous because no one ever gets sick of that right? 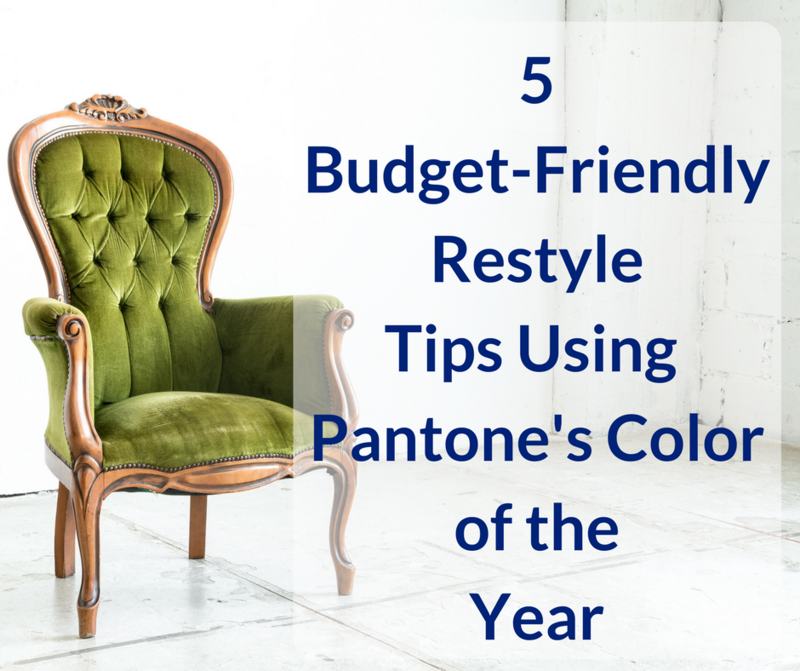 Stick to 3-5 colors for your color palette. For those of you who love color, this may feel limiting, but your space will feel colorful and not overwhelming. If you have a fear of color, go with more muted shades of color so that you add color into your life without it being too to bold. We are not talking about redoing your entire home tomorrow. We are talking about setting up a color plan so that over time it will guide your decorating decisions and eventually you will have a beautiful home that is totally you and flows nicely from one room to another. Now that you have a color palette, it is all about using the colors (or variations of the colors) you chose differently in each room. Yup! You don’t have to stick to those exact colors. Remember this is just your guide. Going up or down a shade or two to make it work in the space is how you add depth, balance and rhythm. The idea is to stick to your palette as a guide. Here are a few examples of color palettes and how they work in a home. I create mood boards for clients as a beginning step to see the color palette come together. The Hottest Decor Tips of the Season! Don’t be afraid to use your colors in unique ways like painting an accent wall or a piece of furniture. As long as the same colors or shades of those colors are popping up throughout your home you will have a continuous look, even if the style of the furniture varies. Happy spring decorating! If you are feeling like you need guidance, then grab a Laser-Focused Design Call with me and for 45 minutes we will hash out your struggles and find a game plan for you to begin implementing your steps on your own! This call will cost you less than $100 and will be the motivation you need to tackle your home! Book here today! Join the journey and learn decorating tips, techniques and trends!